Kim Harrison's series is terrific and this one does not disappoint. The new narrator made this a difficult listen though. She does an awful job with the story. The mispronounced words, high pitched childish use of a voice for Jenks, making Rachel come off as a squealing high school girl and missing Ivy completely really disappointed me. I'll never understand why a company has one narrator for a series of books then suddenly changes. I know each narrator has their own style but you'd think they or the company would do a better job of matching them up. Narrrator: 1 star, Story 5 stars! How disappointing. I was a fan of the first 5 books narrarated by Marguerite Gavin. You become attached to the narrator, and although it can be a challange to adjust to a new narrator, it was not even a possibility to enjoy the story with the new narrator. Her voice is an irritating cross between Sarah Vowell and Ellen Degeneres. The pixies voices are like nails on a chalk board, but worse than that is the mis-pronounciation of words that we became familiar with in the previous books, "ley lines" "Piscary" and "Takata" are all wrong, wrong, wrong. I wish it didn't make such a difference to my enjoyment of Kim Harrison's work, but it does. I wish I had read the reviews before hand, I would have opted for the paperback. I have to agree with the others who reviewed this. This narrator sucked swamp water. Acording the the fan site, we need to complain to the publisher who outsource the first 4 and brought the 5th in house. Obviously Gigi never listened to the any one of the previous books and the producer/directory should be put in jail for uncommon stupidity with Al. It look me 10 minutes when the story was at Trent's house to figure out who taw kaw taw was and why we cared and why this new singer we had never heard about was brought up so often. I will say that Gigi did pronounce Leilines correctly once at 1 hour 21 minutes in part 2. Other than that, I really suggest going and learning how to do the breathing excersises for child birth. That helped me when taw-kaw-taw was said every other sentence with leeeeelines. All we needed was one line with that absurd Al voice saying something like "Rachel Mariana Morgan, do not tap a leeeeeline or I will change into puss-cury or Taw-kaw-taw" Yea, I know, there is a reason I am not an author, but you get the idea. With that said, the story itself is worth the pain of listening to the author, but I am not sure I will buy the next one if Gigi reads it again. Sorry, I have to agree with the others. The publishers need to fix this for the next one. Some effort should have been made to sound similar to established characters in previous books. When Terry Pratchett's books got a new narrator, he stuck to the established way of talking like dwarves, trolls, and people. Mispronounced words (or at least not pronounced like the first 5 books)....sorry there is no excuse for that. I found myself actually insulted by it. Note to narrator: Jenks is small, but he is not a baby girl inhaling helium. As for the story? Curve ball hit WAY out of the park. I LOVED it. I love the way Harrison has embroidered her world adding more detail in each book; , I love the direction she is going. That's why it gets 5 stars even though the narration was so bad. Keep it up Kim,but get your old narrator back. The adventures of Rachel & company continue. This is another great book from Kim Harrison. **** for the material, * for the narration. For the life of me I don't know why they'd change narrator after 5 books. I was thoroughly enjoying the series up until now. With the original narrator, I'd come to know which character was speaking by the narrator's voice. I'd come to know places and names and what each character's attitude was like. Then along comes this book and BAM! Everything is turned on it's head. several key words and names are mispronounced and that turned me off right away. I often wanted to shout "HIS NAME IS PUH-SCARY! NOT PISS-CURRY!" It's bad enough that the new narrator often seems to fade in and out of character, even from one line to the next. To make matters worse, all the characters are completely different. Jenks went from a sarcastic, tough little man to a whiny sissy. Ivy is no longer sultry & vampiric, but almost a valley girl. As for Keasley, I expect him to shout "Where all the white women at?" at any moment. I would love a re-issue of this with Marguerite Gavin returning as narrator. At the very least, I hope she comes back for future books in this series. 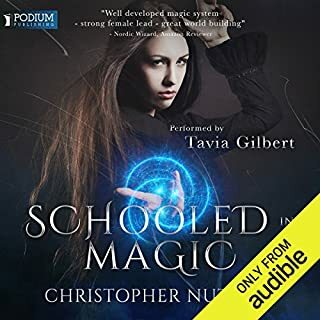 Harper Audio produced this book instead of Tantor Media which did all the other books. I don't know why Kim Harrison chose to change companies, maybe they offered her more money. If so it must have been a lot to make her accept such an awful narrator. Harper audio and Gigi Bermingham ruined this book for me. She is one of the worst narrators ever. I'd recommend you buy the hardback instead. Which is what I plan to do. I can't stand to listen to her whiny voice another minute. Gah! Bad narrator ! Buy the book! The book itself was okay, though Rachel seems a little more wishy washy than usual, but the narrator was really, really bad. Seriously, she should have been required to listen to the previous audiobook, so that she could have at least pronounced the names the same way, if only for consistency purposes. It was both overdone and underdone, which is a heck of a feat. I loved the audio book. I believe this was Rachel and Kim Harrison at their best. 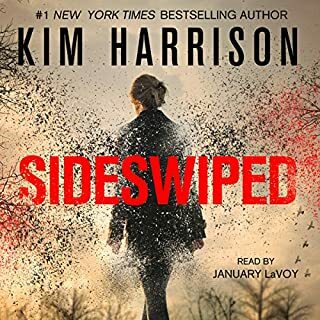 I have listened to the whole series 7 times (itunes count says so, except this one 4 times) and am still awestruck at the characters and depth Mrs. Harrison gives them. I would recommend this whole series to any of my friends interested in the "Inderland" community. The only problem is the narrator in this installment. Gigi Bermingham hurt my perception of Rachel by making her seem more whiny than she ought to be. Rachel is conflicted with her emotions, not 13 and whining about love and death. I constantly had to turn down the volume on my ipod, because Gigi would use a high pitched "Moooom" or "Raaaacheel." I beleive that Mrs. Bermingham is more suited for a different style of books. I would loved to have heard the voice Marguerite Gavin would have given Biss (the gargoyle) and I am glad to hear that she will be back for the next installment and looking forward to "White Witch, Black Curse." If Mrs. Gavin would re-read this book, I would repurchase it in no time flat. I adore Kim Harrison's Rachel Morgan series but a new narrator was used for this book. She is NOT as good as Marguerite Gavin by any stretch of the imagination- the mispronunciations are horrible. The writing is excellent, as always, but the narration is truly awful. The Hollows is one of the most imaginative and entertaining series in the paranormal fantasy genre. The stories are told with drama and humor, with interesting plots and well-developed characters. Like other reviewers, my assessment of The Outlaw Demon Wails is based on the distracting narration rather than the most excellent story. A voice can make the difference between wry self-deprecation and whiney complaining -- therein lies the problem with this book. The initial problem is that Gigi Bermingham redefines the already familiar pronunciations of names like Piscary. Often repeated words like "ley lines" are annoyingly mispronounced to the point of distraction. But more significantly, Rachel does not sound like the intelligent, assertive, risk-taking, introspective and wryly self-deprecating heroine of the other books. She sounds whiney, indecisive, stumbling, overly dependent, and incompetent. With Marguerite Gavin?? ?s performance from the other books, we never forget that Jenx is a man's man -- a proud, strong, hard fighting, heavily cursing, protective, sensitive, and happy spirited pixy who is sometimes annoying. His integrity and humor raise the stories to a higher level. Ms. Bermingham?? ?s voice interpretation makes Jinx sound so weak and annoying we could almost forget his higher qualities. This is an instance where the voice performance overshadows the story and all but ruins an author's wonderful creation. 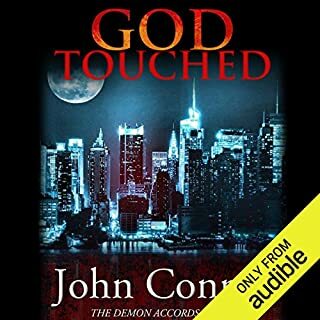 Good narration can make an audio book. Marguerite Gavin is the voice of the Hollows, much like she is the voice of Carrie Vaughn's Kitty Norville series, Dana Stabenow's Kate Shugak series or Tanya Huff's Confederation novels. As a diehard Hollows fan, it is my personal fantasy that all Hollows fans would band together to hire Marguerite Gavin to re-record The Outlaw Demon Wails. I would certainly pay double to hear the complete series in one voice (Gavin's, of course). I eventually got through the book because it is necessary to the series and just so excellent I could endure the horrible narration. I know it would even be better without Gigi Bermingham?? ?s horrific narration. 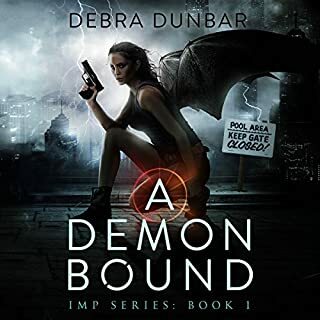 I have been following the series in print, and was delighted when I saw the audio.Reasonable but not fantastic narration- the demon's British accent never quite achieves sinister and it would be hard for any narrator to live up to the dangerous sexyness of Ivy's 'grey silk' voice. Still, it was clear, easy to follow, not annoying and I'm sure it's one I'll listen to several times with pleasure. Great book, but why the narrator change? 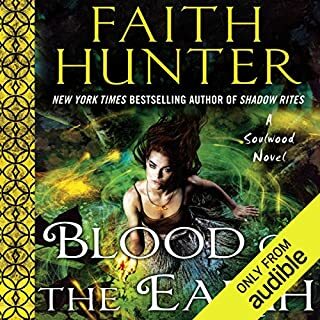 This book is as enjoyable as the others but is hard to enjoy as the narrator is different then the other books, she is a good narrator but after hearing the characters one way it is very difficult to hear them a different way. Maybe you should read this one to avoid the confusion and download the others. The Importance Of A Narrator. 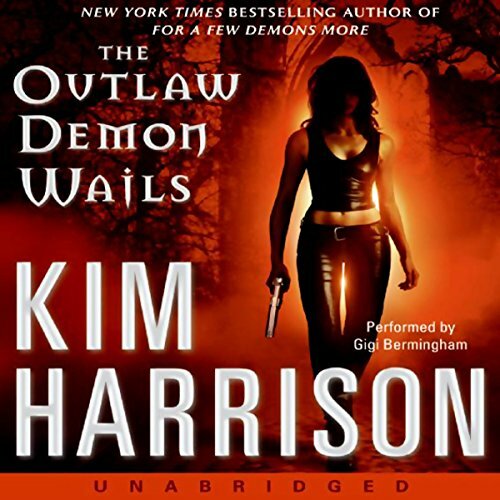 The Outlaw Demon Wails by Kim Harrison. I love the Kim Harrison series The Hollows. The characters are interesting and fun to read about from one book to the next. So you can imagine how disappointed I was to read this book, I didn't like this reader at all, she in no way got the feel for the characters and it was a struggle to finish. Being an avid reader of audio books in my opinion getting a good reader for the book is very important.